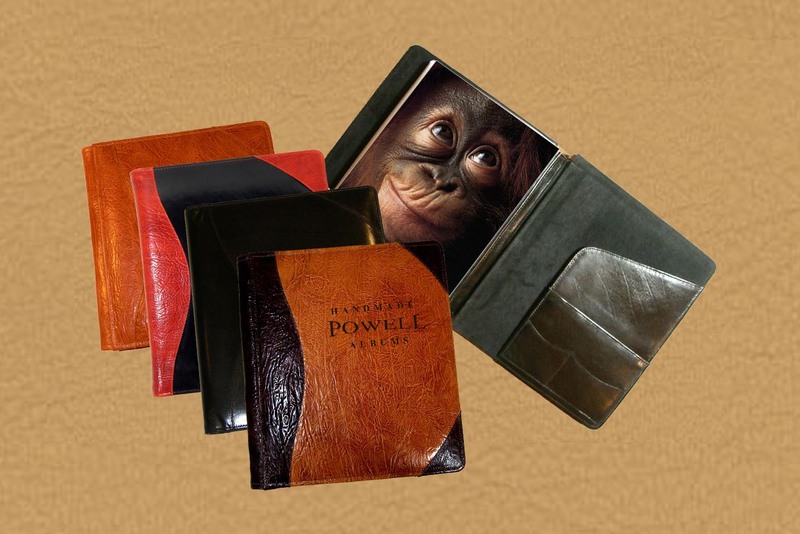 If your looking for the perfect leather photo album, leather guest book, or leather portfolio we can build it for you. If it's a leather guest book you are seeking we custom craft guest books for cabins, lake house guest books, bed and breakfast guest registers, museum guest books, and guest books for businesses. Guest books for yachts are also available. For whatever your need may be we can customize your book inside and out to accommodate your purpose. Custom guest book pages are available, and refills may always be reordered with your own art which is kept on file here at Powell Leather. Photo albums and portfolios may also be personalized any way that you like. We can create hunting photo albums, family photo albums, professional presentation portfolios, and specialty portfolios for whatever your purpose may be. Please feel free to browse our web site, and please feel free to call if you have any questions. Embossed and Engraved Photo Albums and Guest Books? There's nothing like a personalized leather photo album or leather guest book to record your memories of the special events and people in your life. We are often contacted by people seeking embossed photo albums, engraved guest books, and the like, but what we do here is a much better alternative. We use a method called "leather inlay" at Powell Leather. We begin the process by discussing what it is that you'd like to ultimately achieve with your book. We will create Photoshop mock ups of your art for your approval. 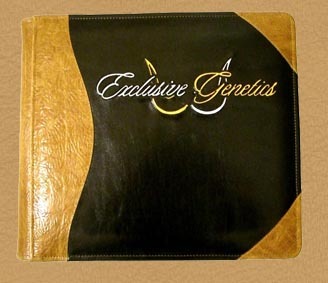 Once you have approved a design we will carefully hand cut the design from the leather which will cover your book, and stitch the appropriate colors of glazed calf leather behind to create your particular design. 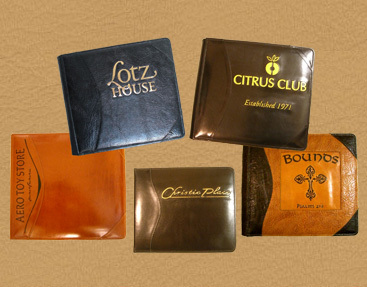 Please feel free to browse our website to view examples of custom leather photo albums, and custom leather guest books. If you don't find what your looking for please don't hesitate to call to discuss what it is that you want. Our products are custom crafted on a per customer basis.